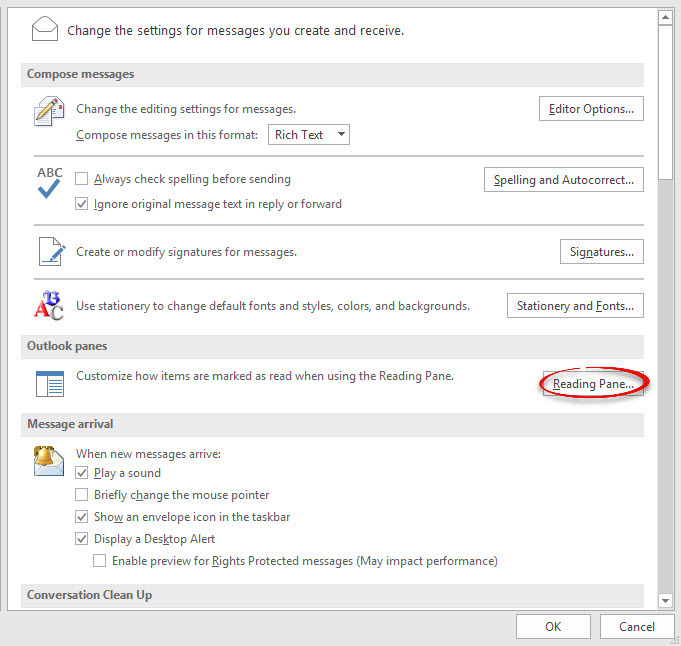 When you select a different message in the Inbox list in Outlook 2010, it may mark the previous message as read even though you didn't read it. Also, if you preview a message in the reading pane, the message is marked as read. Here's how to turn this feature off and keep unread those messages you did not open. 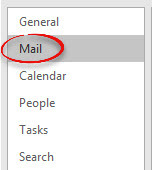 Step 2:Select the Mail menu. 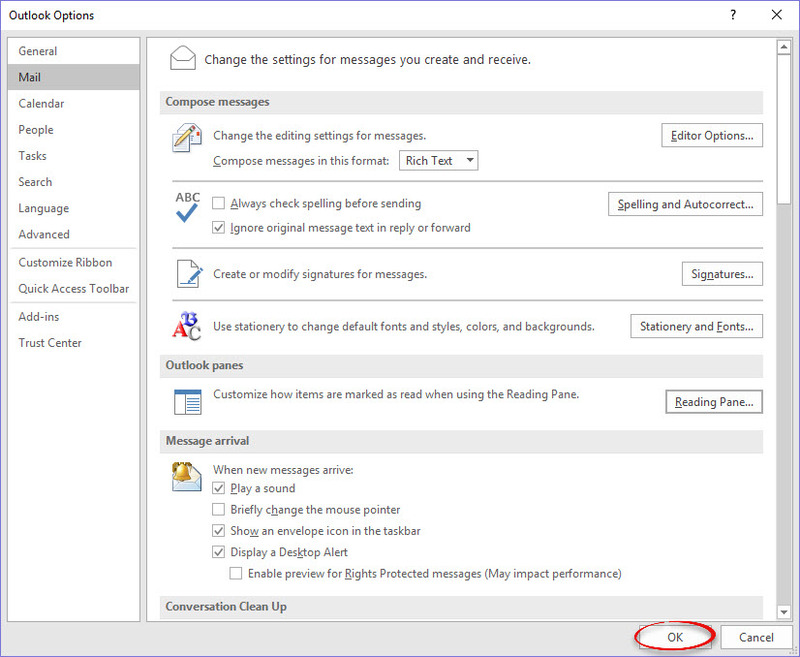 Step 3:Click the Reading Pane... button in the Outlook panes section. 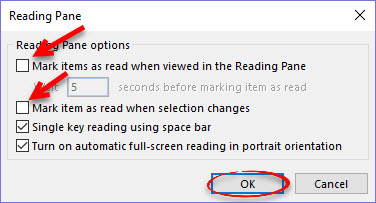 Step 4:Remove the check from Mark items as read when viewing in the Reading Pane or Mark item as read when selection changes. Click OK.